If you are planning to spend a wonderful vacation this holiday season, why not check Thousand Hills Golf Resort as they have Branson log cabins offering the best accommodation that you can get in and around the Branson Missouri area. The staff and managers of the resort are hands on and they are dedicated to providing a luxury log cabin experience for many years now as the numerous awards and recommendations will attest. First time visitors coming to the resort are always wowed by what the repeat customers know, the log cabins at Grand Mountain are the best choice for lodging for any vacation. As the holiday season is fast approaching, look for the perfect vacation spot in Branson where you’ll find natural beauty, unspoiled scenery, the crystal clear waters of three pristine lakes, bountiful wildlife, and fascinating outdoors. Branson log cabins is dedicated to let you feel a rustic natural cabin experience and bonding it with the convenient and accessible location tucked into the heart of Branson’s entertainment district. When you stay at the log cabins at Grand Mountain, you are assured to feel and experience the traditional respect and Ozarks hospitality. While you are having a great time in Branson, you will see the beauty and magic of the Ozarks as you spend a wonderful escapade with the whole family. After you have experienced a wonderful stay in one of Branson log cabins, you will know why more and more people each year visit Branson and fall in love with it and never want to leave. Some of the reasons why visitors prefer to stay at some of the best cabin accommodations at Thousand Hills Golf Resort is because they always have the opportunity to play at the golf course, home of the most popular and highly awarded 18-hole golf course in town. The One Bedroom Log Cabin at Thousand Hills Golf Resort is a cozy accommodation where you can enjoy a romantic getaway with your loved one. Each of the cabin is uniquely decorated to give you a unique and memorable stay, whether this is your first time or your tenth visit. This spacious log cabin has an area of 675 square feet with great features of Jacuzzi tub, flat screen TV, free high speed wireless internet, and a DVD player. The kitchen is fully furnished with modern appliances, allowing you to enjoy a romantic dinner for two. It’s also great to enjoy a wonderful vacation with the whole family if you stay in the rustic Two Bedroom Log cabin in the heart of Branson. 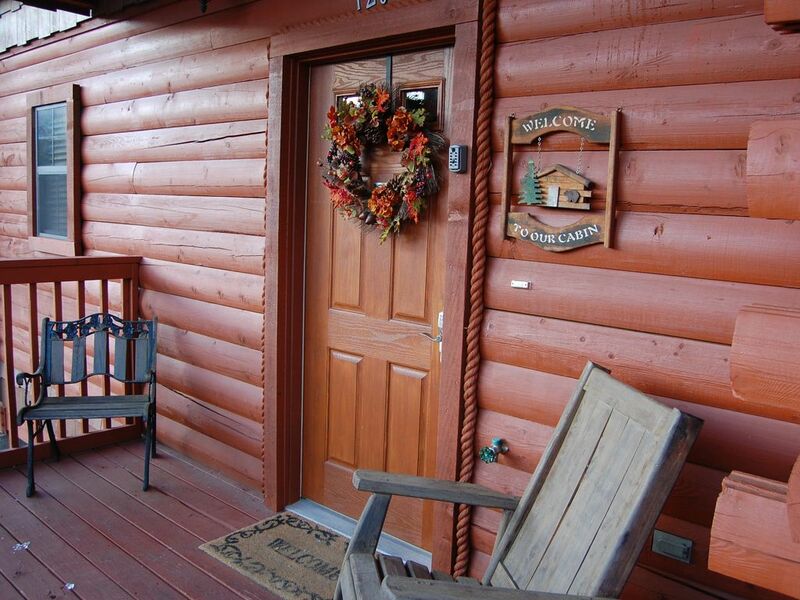 This spacious Two Bedroom log cabin sleeps up to 6 people. With plenty of areas and room for everyone to bond together and relax, this comfy accommodation offers plenty of space and privacy for everyone when they need it. Whether you’re travelling with your loved one to spend a romantic getaway or with the whole family or friends to bond together, you’re sure to appreciate the great layouts of Branson log cabins.